Tell us about your story. We would love speaking to you. Please call us to learn more about our services and how to get a free consultation. ​If you have questions after hours, please leave a message or use contact us form and we will contact you within 24 hours. 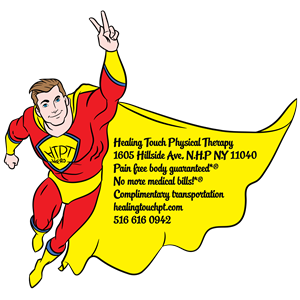 If you want to have the world saved, call Superman but if you want to have a pain free body then call us! Thank you for visiting us! We have deep appreciation for contacting us, therefore we will send you a Free detailed Report and a brief video - "The Patient's Guide to Understanding Insurance". This will automatically send you when you submit contact us form. Considering the convenience of people doing evening and night shifts we are moving closing time on Monday and Thursday from 9 pm to 11 pm starting July 2018.